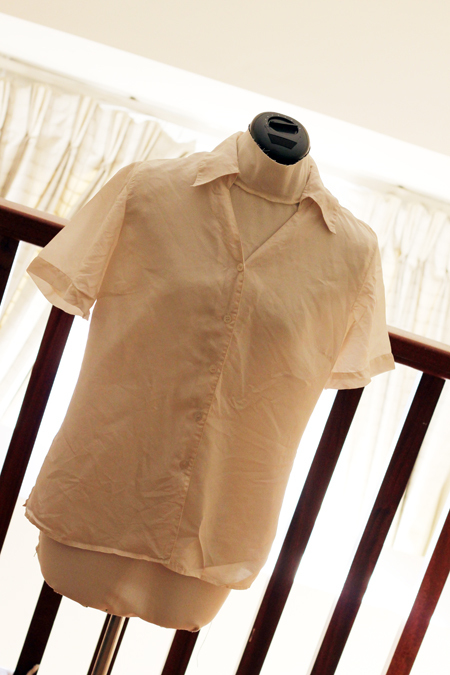 I found this white silk blouse in a thrift store in Finland last year and never wore it as the design of it was a bit too 90’s for my taste. 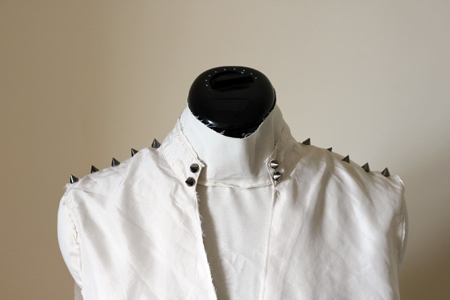 So this weekend I finally got my act together and altered it into a vest with stud details. 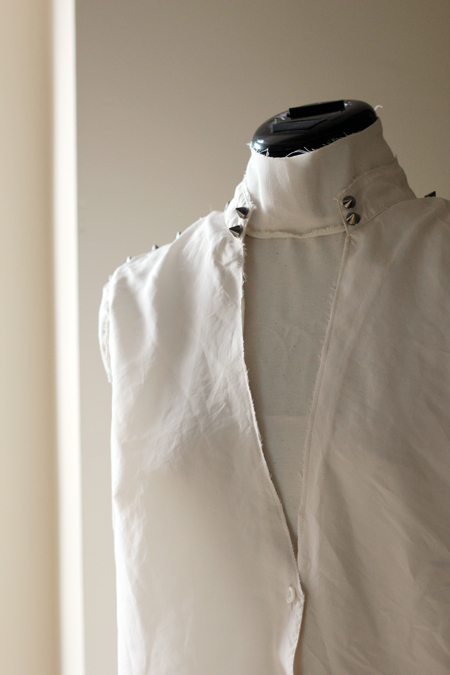 First I cut of the sleeves and the upper collar, leaving a few millimeters to create ragged edges . 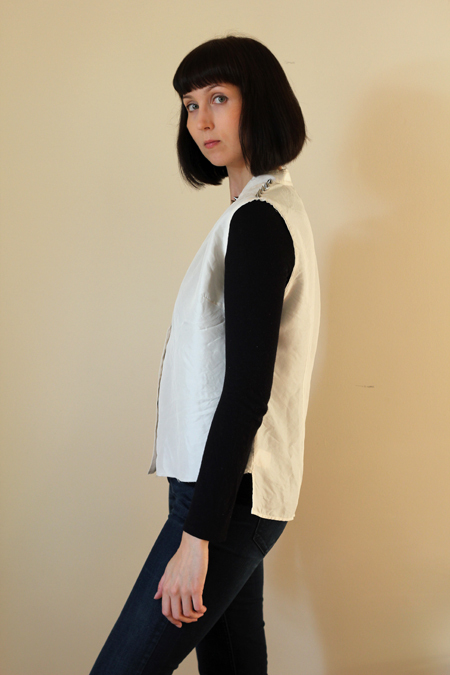 I also cut the front part shorter from the hem for an asymmetrical look. 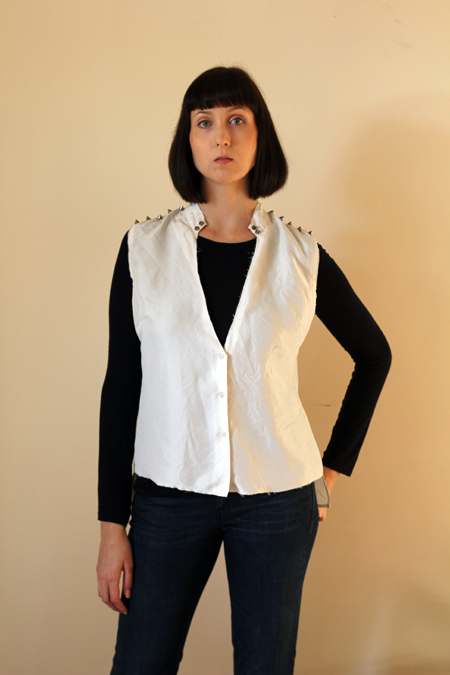 The only part that required some sewing was the neckline: I pinned the shape of the desired neckline and after cutting out the extra fabric I stitched both sides of the new neckline. 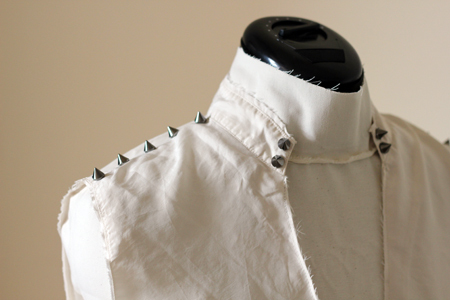 Finally I hand stitched the sew-on studs (that seem to be everywhere this year!) on the shoulders and on the collar. 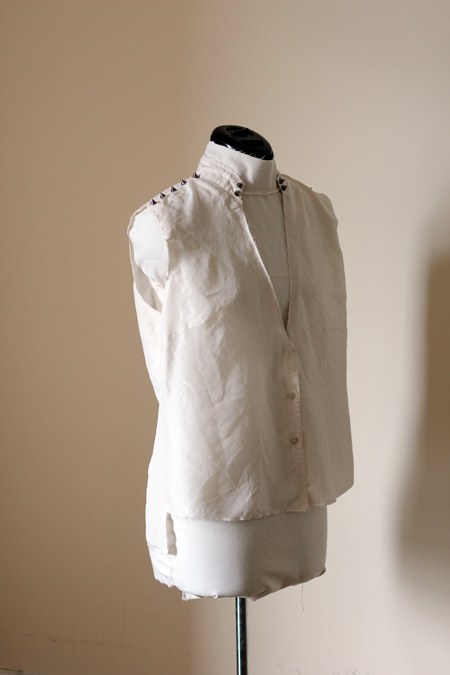 Another option would’ve been to glue the studs on the fabric.